An investigation revealed pesticides are to blame for local bee deaths. An investigation has revealed that pesticides killed thousands of bees across Minneapolis last month. Now, the University of Minnesota Bee Squad and the community that housed the bees are looking to spread awareness of the effect of pesticide use on bees. In mid-September, bees from three colonies in Minneapolis’ Kenwood neighborhood were found twitching and falling to the ground near their hives. 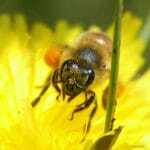 Within the next few days, thousands of bees died, and the colonies’ potential to survive through the winter was hindered. The University Bee Lab, the Bee Squad and the Minnesota Department of Agriculture conducted tests to confirm that pesticide had caused the deaths. The MDA tests reported that all three hives tested positive for the presence of fipronil, an insecticide used on building foundations, Bee Squad coordinator Becky Masterman said. The MDA’s report said someone in the area likely used the pesticide within a foot of a building’s foundation and sprayed it on bee-friendly flowers. Bees from all three colonies interacted with the plants and brought the insecticide back to their hives, Masterman said. It’s unknown who sprayed the pesticide, and the MDA won’t investigate the incident further, the report said. 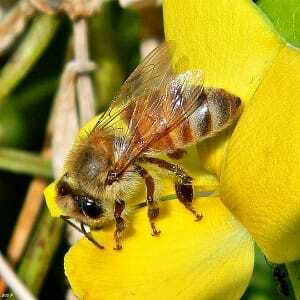 About half of all food is pollinated by bees, Masterman said, so humans are highly dependent on them. “They’re contributing to good nutrition in our diet and also aesthetics in our environment,” she said. Masterman said the bee death will serve as a teachable moment for those who use chemicals to control pests around the house. The incident will also give the Bee Team a real-life example to use in its lessons to local beekeepers, she said. 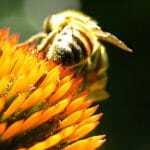 Although most urban beekeepers are hobbyists, Masterman said, many urban farms benefit from the local honey bee pollination. When the colonies were hit last month, first-year beekeeper Katherine Sill noticed her bees shaking near their hive outside her Kenwood home. Sill lost a large portion of her colony and said it will be difficult to buy new bees in the spring knowing that this type of incident could happen again. Sill said she plans to reach out to the community and spread awareness about the bee deaths and pesticide use. “Hopefully it will cause people to think about … what they do in their gardens,” she said. Please sign up for Cornucopia's electronic newsletter and action alerts. You can be confident that we will never share or sell your e-mail address and your personal data will be held in strict confidence.